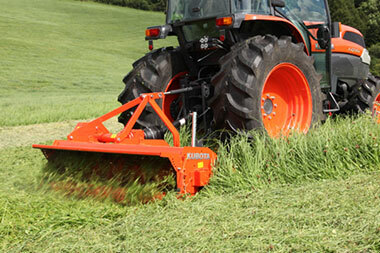 A small, medium-duty machine for use on slightly rough ground and other green areas: in amenity areas, for tidying up pasture and in similar situations. 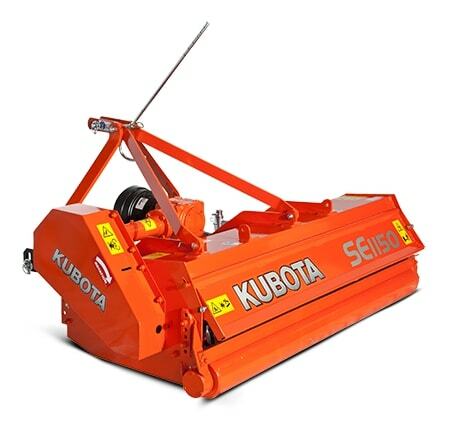 However, all models are solidly constructed throughout with a robust gearbox and very strong power transmission to the "V" belts driving the shafts. 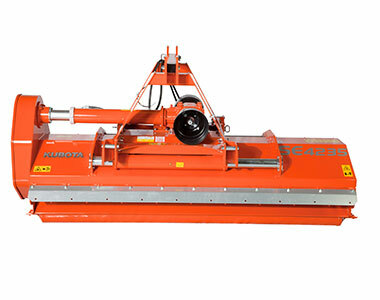 In addition, they have a strengthened chassis with double plating in the areas subject to highest stress. 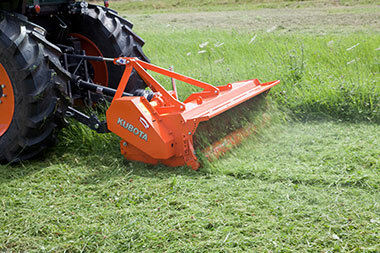 The combination with Kubota's precisely manufactured rotor shafts and hard wearing blades makes them extremely reliable.